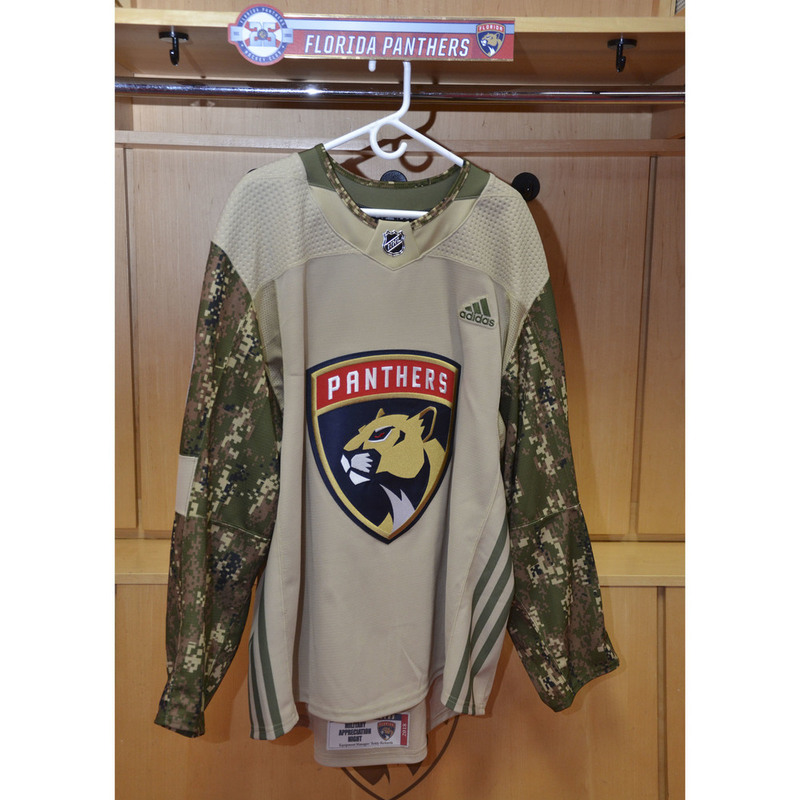 Bid now on this Military Appreciation Night Warm-Up Jersey that was worn during pre-game warm-ups on Veteran's Day (November 11, 2018) vs. Ottawa Senators. All winners will receive their jerseys following the close of the auction via mail or in stadium pick-up if in the local area. Jersey will include a Certificate of Authenticity from the team. 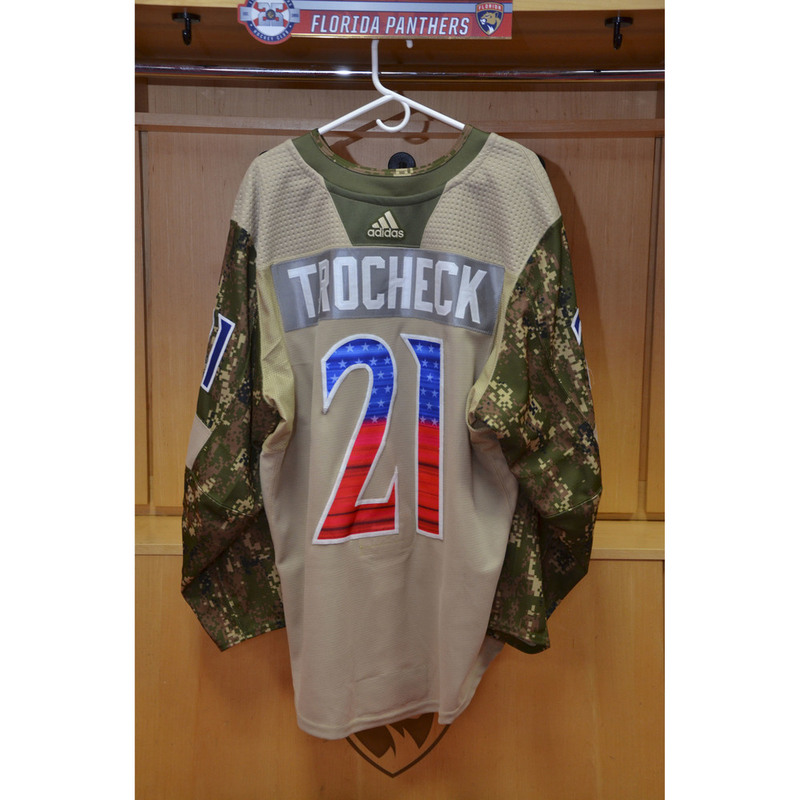 Proceeds from the auction will benefit the Florida Panthers Foundation. *Please note: Tickets to the game are NOT included with this auction. If the player being auctioned is not on the active roster or does not suit up for warm-ups, we will work with the winning bidder to ensure customer satisfaction.